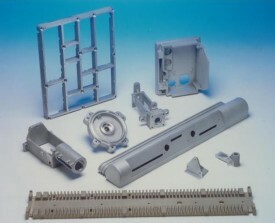 In April 2010, Norse acquired Procast Components of Hitchin and relocated their production operation to our Bedford site, bringing with it the key personnel and expertise accumulated over the past 30 years in the manufacture of precision aluminium sand castings by the Greensand Production Process. Procast’s production methods, precision component manufacturing focus and emphasis on high quality finishing complemented Norse’s existing capability. The combined businesses enjoy dedicated foundry areas within the Bedford site and provide additional production and engineering capability to offer customers greater capacity, faster turn-around times, and enhanced engineering expertise.